We’re all 100% committed to ensuring our homes remain clean and healthy on a regular basis. There’s simply no debating the fact that clean houses are far more comfortable and relaxing to live in, run more efficiently, smell better and are prepared for any emergency that may crop up in the future. Therefore, there’s no reason why people who care a lot about their cars shouldn’t apply a similarly detailed cleaning service for their vehicles. For people who spend a lot of time in their car, it goes without saying that you want to be in an environment that is comfortable and safe to be in. You want to have a sparkling windshield to see through, some freshly vacuumed upholstery and a generally attractive looking interior all the time and it doesn’t take much to achieve this. Car interiors are very easy to maintain, so here’s a step-by-step guide to cleaning up your cherished vehicle. Start by removing larger items and objects from the backseats and floors of your car that have been stashed or left behind, causing unnecessary clutter. The back seat pockets tend to hide all kinds of objects like this, so make sure you turn your car upside down when searching. Once all the larger objects have been removed, get hold of a heavy-duty brush and start clawing out the food crumbs and dirt from the seats, carpeted floors and floor mats. Remember to life the floor mats up first and put these outside of the car. Follow this up with a thorough vacuuming of the entire space. Lots of unpleasant car odours are actually the result of air filters being clogged up by stagnant food particles and dirt. Locate the air filter in your car and use a can of compressed air to blast away anything that could potentially cause musty odours. With the car all nicely cleaned up, put a new air freshener in and leave it overnight. From this point on, make a note to all passengers that you want any litter to be taken out of the car and thrown away. You can have a rubbish bin of some kind in the car for passengers to use if you own a family car. 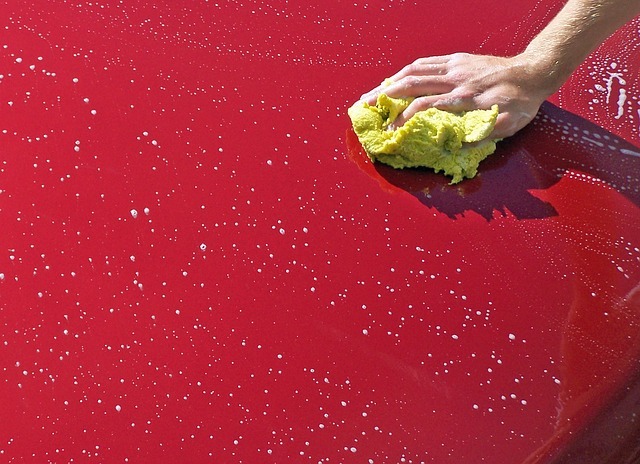 Cars don’t stay clean forever and the same goes with any household, which requires specialist curtain cleaning services every once in a while. Be sure to stick to a cleaning schedule, perhaps a deep clean once a month, so that you don’t fall back to square one. Robotics are slowly starting to edge their way into the plans of various industries, including the cleaning industry. Along with some of the high-tech cleaning equipment that we use here at Apple Clean, there have been developments in the typical domestic cleaning options that homeowners can make the most of, one of which is the robot vacuum cleaner. Vacuuming is one of those things that simply adds to a long list of everyday cleaning chores, or at least that’s how a lot of people see it. Truthfully, we’d all like to abandon the prospect of vacuuming entirely and still know that the carpets in our homes or offices are in the excellent condition. So maybe this is why there’s been such a major case made for these robotic vacuum cleaners, which are now commercially available and come in a variety of different models. Here are the pros and cons of a robotic vacuum cleaner sho0uld you be considering making it a new member of your cleaning arsenal. 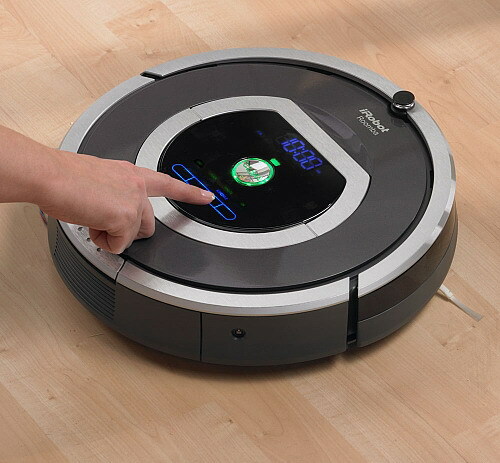 Robotic vacuum cleaners are actually quite cheap for a rather new form of cleaning technology. Most high-end models will compete with the most expensive of course but don’t be surprised to see prices that are below that of a standard vacuum cleaner. Another benefit of having a robotic vacuum cleaner is the simplicity that they provide you with. You just have to set it up after purchase and once that’s done, you can leave it to get on with the work. Ultimately, you’ll save time as the robot gets on with job by itself and your home will probably be cleaner as a result as it sticks to a consistent and regular cleaning programme. If there were places you struggled to reach when vacuuming before, you certainly won’t have to worry about that with a robotic vacuum. Their design means that they can move under furniture, access corners and run along walls with ease, so you won’t need to do any lifting or moving of furniture. Whilst you’re saved time cleaning, the actual time it takes to get the job done can be much longer with a robotic vacuum due to their smaller size. You could also say that your time is wasted in a way, as you might find yourself having to empty the robotic vacuum every now and then, especially if you’re cleaning a large room. This can be an issue as the vacuum may have to recharge in order to have enough power to clean an entire room. Most robotic cleaners have around 2 hours of battery life per clean, which isn’t that much especially as a standard cleaning job can take some time. You’re always going to have to rely on your old vacuum to clean stairs and places where your robotic vacuum simply can’t reach. In addition, it can’t guarantee a highly-effective, thorough cleaning job, so our services at Apple Clean will always provide the extra efficiency that you need to maintain a clean and healthy living space. We all appreciate the role of our kitchens, especially as they are widely regarded as the vocal point of any household. Whether it’s cooking meals, talking with the family or sitting down and reading the morning paper, we could all do with a thoroughly clean and tidy looking kitchen space. It’s important to remember that the kitchen is one of the first places your guests will reach, as you’ll likely be offering them a drink or snack. In addition, many open-plan kitchens have seating areas and dining tables that are great for communal gatherings. For these reasons, it’s essential to have a kitchen that’s in the best possible condition all year round. 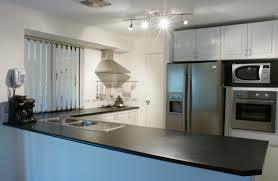 So what can you do to make sure your kitchen is as clean as possible throughout the year? We tend to grab a mop for the floor on occasion, scrub the oven hobs, organise the dish cloths and make sure the sink is empty each day, but are we fully aware of the true cleanliness of our kitchens? It’s quite easy for germs and bacteria to develop in the kitchen due to the moisture that often appears from the taps and the plumbing system, as well as a kettle or whenever you need to boil water. It’s also a common to have a bin in the kitchen due to the amount of food waste that needs to be thrown away or recycled. So to ensure that your kitchen is thoroughly cleaned, it might be useful to follow our guidelines here at Apple Clean so that you can rest safe in the knowledge that your friends, family and visitors will appreciate a healthy-looking kitchen space. Dusting is a good place to start, as you’ll need to get rid of all the loose dirt before washing anything. Next, assemble a cleaning solution and start wiping down walls, cupboards and cabinets, targeting grease stains and other dirt marks. It’s now time to move to the oven. Ovens attract the most dirt of all kitchen appliances, so cleaning your oven should be a patient process. Not many people choose to clean their oven, but there are plenty of cleaning solutions available to get rid of particularly tough grease and food stains. Apply anti-bacterial cleaning solutions to the sink and other areas where bacteria commonly thrive. You don’t need to spend long doing this, just make sure all the anti-bacterial solution is removed afterwards through a normal cleaning procedure such as scrubbing. Cleaning your fridge out and reorganising can be highly satisfying, especially if you’ve been coping with a dirty fridge for months! Get rid of the rubbish and organise a recycling bin for food waste. Having two separate bins is an easy contribution you can make towards the environment. Finally, get hold of some hot water and multi-purpose household cleaning solution and start mopping the floor. 10 out of 10 – Fantastic service – could not fault in any way. Excellent and thorough job, polite gentleman.